Home › Label Learning Center › Industry Trends › Where Should I Sell My Products Online? Where Should I Sell My Products Online? Instead of setting up shop up the street, businesses are turning to the Internet to find customers. As an entrepreneur aspiring to sell products or a small business looking to expand, the best place for your business to be is online. The changing retail landscape means greater opportunity to reach to a worldwide audience. But before you can start building that base of customers, you'll need to figure out where on the world wide web to sell. Still in the product ideation phase? Read this article for tips on what product to sell online. 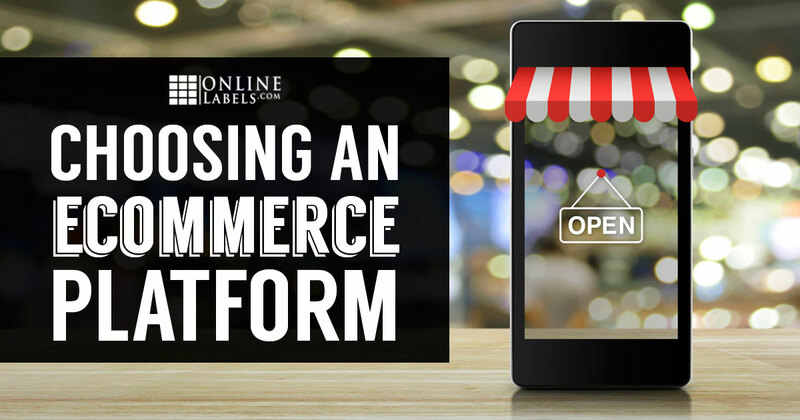 Online Marketplace or Your Own Ecommerce Website? You're solely interested in selling products. Low-cost and easy to set up. You’ve established sales through a marketplace. You sell unique, niche, or personalized products. Build up your own brand instead of a marketplace's. Initial lack of traffic to your site. Lacks trust and loyalty of big marketplaces. The world’s largest online retailer. You sell niche, hobby, or refurbished goods that won't compete with Amazon's own sales offerings. You could be competing with Amazon directly if it also sells your product. Competitors may undercut your price. Individual plan: $0.99 per item. Both: Referral fees and variable closing fees. You sell rare or branded items like vintage goods and collectibles. One of the most long-standing marketplaces. Bidding can lead to wasted time if you have to relist an item. Under 50 items/month: $0 listing fee + 10% final value fee up to $750. eBay stores: $19.95 - $349.95/month + 3.5% - 9.15% final value fee up to $250. A marketplace for crafty, creative products. You sell handmade goods, vintage items, or craft supplies. Etsy buyers often have more cash to spend. $0.20 listing fee + 5% transaction fee + the payment processing fee. A fast-growing marketplace focused on unique items. You're in the fashion industry or specialize in one-of-a-kind finds. The Managed Merchant program can do tasks like create listings to free up your time. 3.5% of Final Offer Value for standard booths. A hub where retailers design and sell merchandise produced by CafePress. You're a designer who wants to focus on creating innovative designs rather than manufacturing products. CafePress produces your design and handles all payment transactions, deliveries, and returns. Your designs risk being crowded out. These platforms are ones you rent. They're great if you're not tech-savvy, but you're ready to set up shop fast. They give you a site and a store all-in-one which can be easier for beginners. Because they're owned by someone else, you can have less control and flexibility to customize. Online store builder geared toward beginners. Online store builder geared toward small-to-medium sized businesses. You're a fast-growing brand or a high-volume business. Apps integrate your store with other services. Designs are outdated in places. This is the space you own. It's great if you're experienced with code or website building, or you're willing to invest in someone who is. You own it, so there's greater freedom and control to customize. In turn, this could make it difficult or expensive to manage. Open-source platform that runs 30% of all ecommerce sites. You're a smaller business not looking for big growth. Great integrations with coupon codes and email marketing. Not as many features as some platforms. Must have site on WordPress. Free for the base plugin. Leading platform for self-hosted ecommerce. You intend to grow and scale extensively. Customization or trouble-shooting can be expensive. Free for the Community version. Customized Enterprise version requires a quote and can range from $15,000 to $50,000/year. And, that's it. As with most things, the most important step is getting started. Take what you've learned here, choose the platform best for you (without overthinking it), and start selling. When it comes time to label products or ship them out, give us a shout. Our customer service team would be happy to help you find the right label for your needs. Just give them a call at 1-888-575-2235 or submit a support ticket.